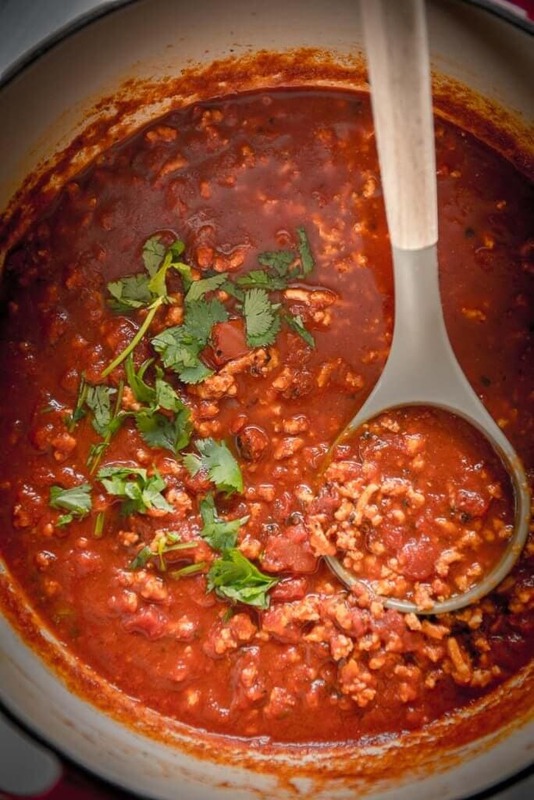 An insanely simple and quick chili with tons of flavor!! 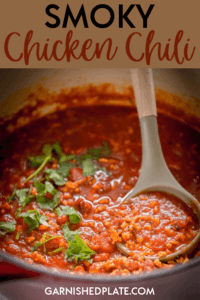 Smoky Chicken Chili is delicious and perfect for families that are short on time and full of picky eaters! I’m going to take a wild guess and assume you are like me some days and you need a recipe that you can make with ingredients you have on hand and the 15 minutes you have available. 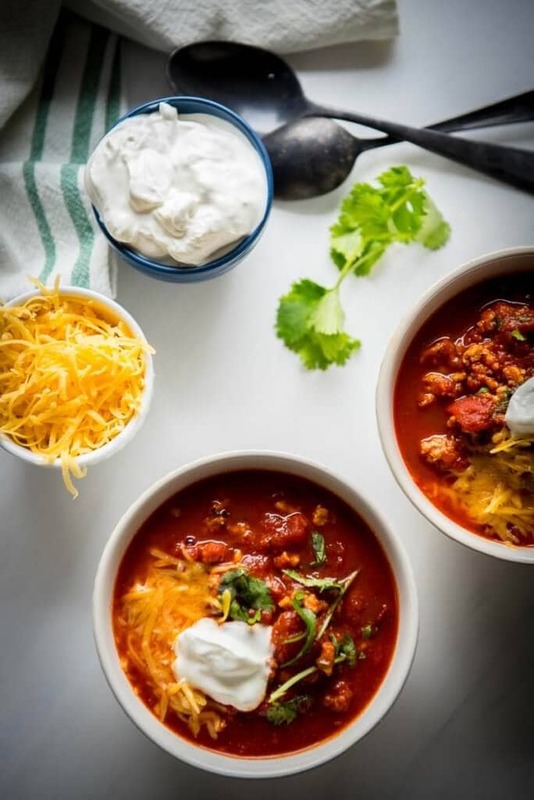 And since chili is easy and versatile, I’ve created a simple chili recipe that is packed with flavor and perfect for simply enjoying in a bowl or as a topping for other favorite dishes! 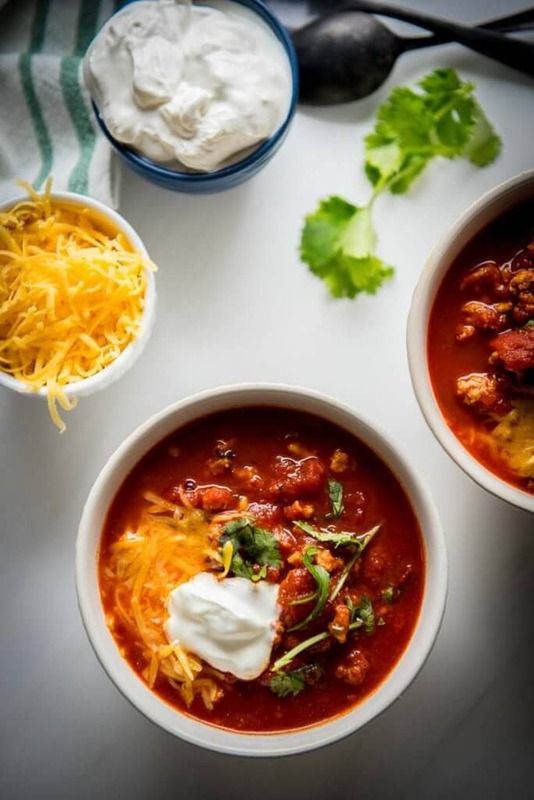 With ancho chili powder and fire-roasted crushed tomatoes, this chili has a smoky chicken chili has a cooked all day on the campfire taste in minutes on the stove. Getting a good cast iron dutch oven for chili is not only kind of critical to the overall experience, but it also doesn’t have to break the bank. I love my Lodge dutch oven and if you are thinking of getting one you really can’t go wrong with it. Plus, I have a whole category of recipes dedicated to it (creamy potato soup anyone?) that will be perfect as the weather starts to cool down! 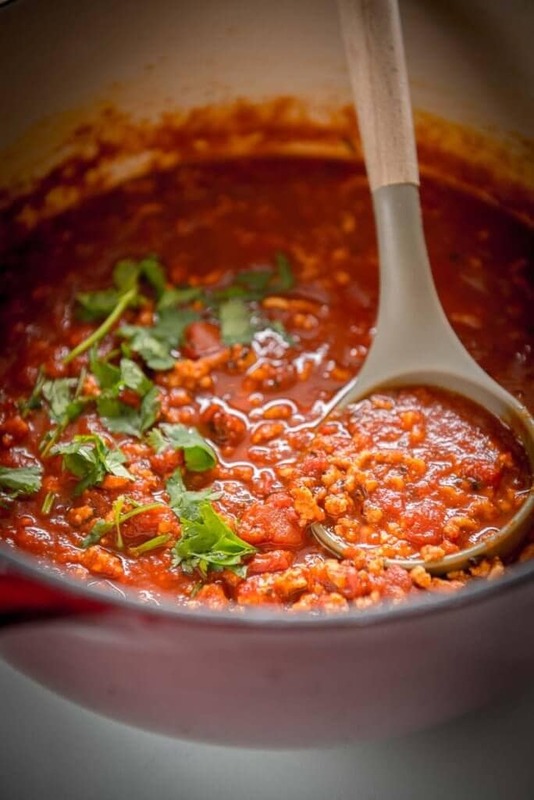 Ground chicken chili is pretty much the same as any other ground beef chili and just as easy. While many people like to use chicken breasts for chili recipes and shred it, I sometime find ground chicken easier and the texture preferable. 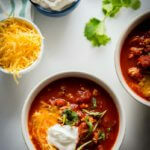 The only thing to keep in mind is that chicken will have less flavor, so you will need to adjust the seasonings of your chili to account for this. But the beauty is that it lends itself to taking on the flavors that you add, and pairs well with so many options.